I apologize in advance to anyone who might have stumbled upon the beginning of this blog post on Wednesday, July 23th. The incomplete draft of this post was accidentally published on my website before I was able to take it down. I have posted the complete reflection here, but for your convenience, I have marked the place where I continued writing after this unfortunate blunder. Thank you! Over the past year, you have heard a great deal about the struggles that I have faced as a Director of Religious Education (DRE). You have read about how I stumbled upon the position, and you know that it was not my intention to devote my life to religious education. When I was offered the job last year, I thought it was going to be a place holder position until I figured out what I wanted to do with my life. 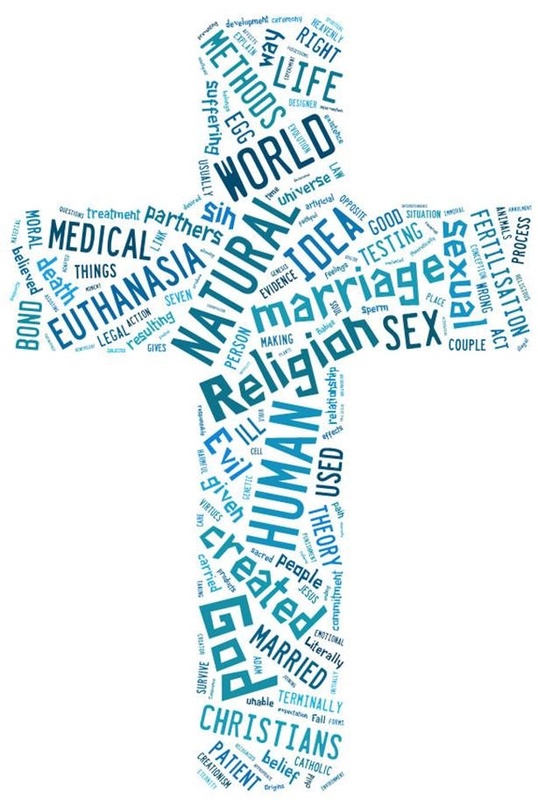 When I began, I was certain of two things: (1) I had very little idea how God wanted me to spend my life, and (2) religious education was NOT how I was going to do it. I went into the job with some clear presuppositions in my head: my boss was an anomaly among DREs, most of whom should have retired years ago. CCD students are brats who have no idea how to behave in a classroom or a church; they draw on desks while they should be listening to their teachers, who may or may not have been teaching them anything. CCD teachers are also always grouchy, and only volunteer because there’s no one else who wants to do it. And finally, these circumstances are innate to the CCD program as it exists in the United States. Public school kids are meant to hate CCD, catechists are supposed to hate teaching, and DREs are only responsible for making sure all grades have teachers and that those teachers show up every week. Over the past year, I have learned that I was completely right about some things, but I couldn’t have been more wrong about others. I’ve been a Catholic school kid my entire life. When I was in elementary school, I knew the CCD kids as those punks that forced me to store my textbooks and notebooks in the closet on Friday afternoons and to clean pencil markings off my desk every Monday morning. They were all trouble-makers who were constantly making a racket at Mass on Sundays. To this day, my family avoids the 10:30AM Mass on Sundays, which has been dubbed “the CCD Mass.” It immediately follows their classes (as has been the case for as long as I can remember), and it is known for its noise and its misbehaving children. As a Catholic school girl, I never hung out with the CCD kids- because I never really knew who they were and because I assumed that we wouldn’t get along. My year at Mt. Carmel was incredibly eye-opening. In barely any time at all, I realized that the children are actually sweethearts, many of whom don’t get enough love at home or in school (or both). If they misbehave, it’s mostly to get attention, which they are rarely given at home. More than anything, they’re just kids. Sure, they don’t behave as well as the Catholic school kids in Mass, but that’s just because they don’t get as much practice. Most of their families don’t take them to church, so their only experience with “religion” is our CCD program. I have met first graders who don’t know what prayer is. I have met second graders who don’t remember ever having attended Mass besides our Closing Liturgy the year before. I have met third and fourth graders who have not gone to Mass or confession since they received the sacraments for the first time a year or two earlier. And I have met fifth and sixth graders who have already decided that they’re “too cool” for God, which they apparently learned from their parents. I have met all sorts of children, but I have not met a single child who is like the monster that my teachers and classmates used to talk about. In addition to meeting incredible children, I have also met incredible DREs and catechists. I had the pleasure of working with many passionate, dedicated catechists who really loved what they were doing. Some of them were retired parishioners, as I had always assumed, but others were young. I had catechists in my program who were parents who wanted to take a more serious role in their children’s religious education, and I had youth group teens who had more energy and passion for the faith than even I did. There were also some things that I was very right about. I was right about the average age of DREs, and I was so outnumbered at archdiocesan gatherings that my measly 25 years of life were only enough to bring down the average age by about 5 years or so. Because of me (and one other DRE in her 20s), the Archdiocese of Newark could boast that the average age of DREs was 70, instead of 75 like the rest of the nation. Congratulations to us. I was incredibly young compared to the other DREs, and much more conservative in my Theology than many of them were. In my travels, I met a very disgruntled DRE nun who really wanted to become a priest, as well as a priest who very much wanted to get married. When we gathered for meetings, they complained about the state of the Church, the state of the country, and the state of their religious education program. The only thing that they didn’t talk about was the state of their souls. For better or for worse, today’s children do not learn like we did in ages past. When they do research, they do not consult the encyclopedia; they google it. When they have to write a book report, they don’t read the book. They don’t even read the Sparknotes version. They watch the movie; they watch film clips on YouTube. They piece together their papers from a million different websites, but they never once open the book. Classrooms have transformed to accommodate the needs of the transformed human mind. 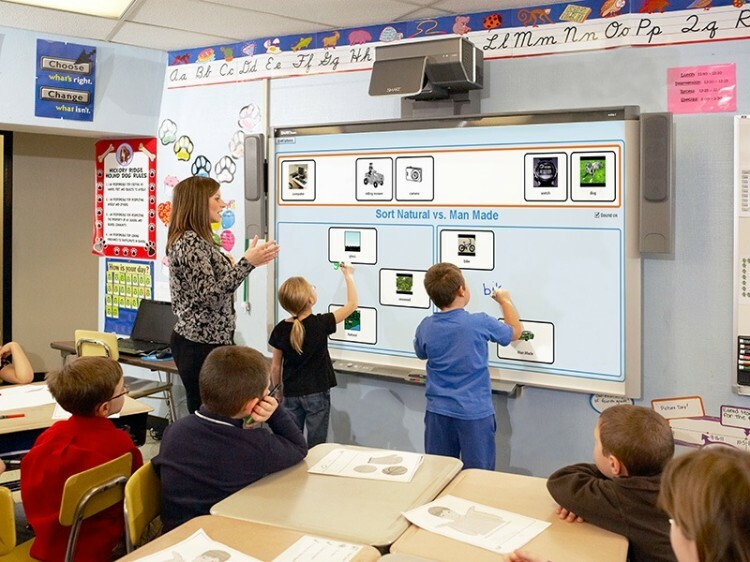 They’re “smart.” White boards aren’t just for writing on anymore. You can show video clips and search the web. Any student can project their own iPad screen onto the board when it comes time for a peer review of a paper. Desks aren’t just for reading and writing on anymore either. Now, every student has a laptop, or at least a tablet. More time is dedicated to classroom discussion and projects, and there is less lecturing and reading. Honestly, as technologically savvy as I might be, I’m not sure I’d feel at home in a modern classroom at this point in my educational career. I’ve spent too many years grueling over encyclopedias, taking notes on the books I had to read for English class, and actually writing out the mathematics to Algebra equations. The Common Core curriculum means absolutely nothing to me. I can’t even help my ten-year old niece with her homework anymore, though I suspect that’s not entirely my fault. School has changed for today’s students. CCD has not. Most parishes feature a religious education program that has not changed since Vatican II. The books vary from year to year, but the layout does not. The way of teaching does not. For the most part, CCD means sitting in a classroom for an hour on a Sunday morning, reading the day’s chapter, and answering the review questions at the end. Today’s children don’t know how to learn that way anymore. Because of new classroom policies and guidelines, children learn using a range of audio and visual stimuli, as well as a great deal of discussion among students. The days of lecturing, taking copious notes, and memorizing information are long gone for today’s elementary school students. This makes me wonder how these children will fare in college, where the classes are largely lecture-based, but that is a topic for another time. The modern classroom has been transformed, but the CCD classroom still looks like it did in the 70s. As a result, as well as being unhappy about having to spend a Sunday morning in school, CCD kids are forced into a type of school that they don’t understand. Not only are these students unwilling to attend, but now they are also unable to learn. Many DREs that I’ve met have observed this among their students. They ponder why it should be that these students should score so terribly on their assessments, but it seems pretty obvious to me. For one, my students dread anything that looks even remotely like the standardized testing that they are required to complete in school. But the problem goes deeper than this. Not only are the students scared, but they also just don’t know how to learn the material. This is not because they have not been taught. They just haven’t learned. For their entire experience of CCD, they have been expected to sit still for an hour of lecturing, memorizing, and answering questions, activities that have not been favored at school in recent years. The children simply don’t know how to do that anymore, and for better or for worse, we are dealing with an entirely new type of student, and DREs must decide how they want to deal with this reality. I have always appreciated the value of listening to lectures, taking notes, and memorizing information, and it pains me to see that these activities aren’t valued by the educational system like they once were. I would love to bring them back, but I’m afraid CCD just isn’t the place to do it. You can’t undo a week’s worth of poor education with one good lecture a week. Sure, you will find a handful of students who can immediately adapt and still manage to succeed in this new environment, but most of the children will struggle to learn. Over the past year, I have taught with a more lecture-prone style, but it has been tailored to the students’ current learning style with high energy presentations, generous dialogue, and the occasional YouTube video. I am aware that DREs need to make adjustments to help these children understand the faith and to help them fall in love with Christ, but I am just not sure how far I would feel comfortable going about that. In Rev. Michael White and Tom Corcoran’s book “Rebuilt” (You can read other blog posts about this book here and here. ), the authors dedicate a small section to religious education. Nativity, the parish on which the book is based, was just like any other parish in America before Fr. Mike and Tom undertook their Rebuilt initiative. They had a CCD program, but it was ill-attended, and the children weren’t particularly enthused about having to attend. Neither were the catechists, who had been finagled into the positions, and had never been permitted to leave. In response to the overwhelmingly negative opinion of religious education classes, the pastor and lay minister devised an entirely new method of religious education that was radical and unorthodox. To begin, Nativity offers a handful of activities for children during Mass. Not only do they have a program very similar to the Children’s Liturgy of the Word, which is a common practice in churches today, but they also offer what the parish calls the “Kidzone,” which varies from babysitting of infants and toddlers to a worship experience for older children. These children hear the Scriptures proclaimed, learn religious-themed songs, and watch puppets act out Bible stories on stage. Throughout my education and parish experience, I have developed a fairly well-formed (at least, I think) opinion of the good of these types of activities, but I will save those thoughts for another time. For now, I’d like to focus on Nativity’s CCD program. This Maryland parish has devised a very creative, innovative method for teaching religion to the parish children. 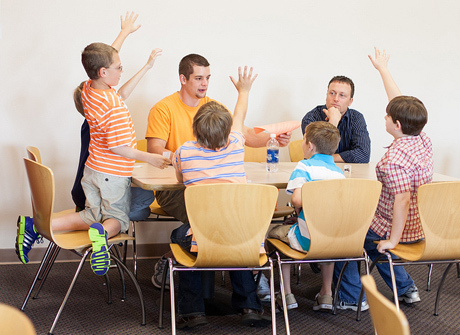 It does not take a distinct classroom style, but has been modeled after the “small groups” that are often employed at retreats and youth ministry events. Small groups replace the traditional class, and students begin and end with prayer. The week’s lesson is sandwiched between these two prayer moments, and generally incorporates a Scripture passage, reflection questions, and then activities and games to support the lesson. As far as I can tell, the lessons are very Scripture-based, and there is less of a focus on learning the specific dogmas upheld by the Catholic Church. While these doctrines and dogmas might be incorporated into the week’s Scripture lesson, it would seem that Nativity’s religious education program is less book-based and more discussion-based. There do not seem to be textbooks, and there doesn’t seem to be a very structured curriculum that the classes follow. That being said, I have not yet had the opportunity to visit Nativity parish, so if any of my readers have more knowledge of this particular religious education program, please don’t hesitate to share it with me. There are some elements of Nativity’s program that I really like, and there are others that I am not as fond of. From what I can gather, the less-structured environment allows for more fluidity in attendance. 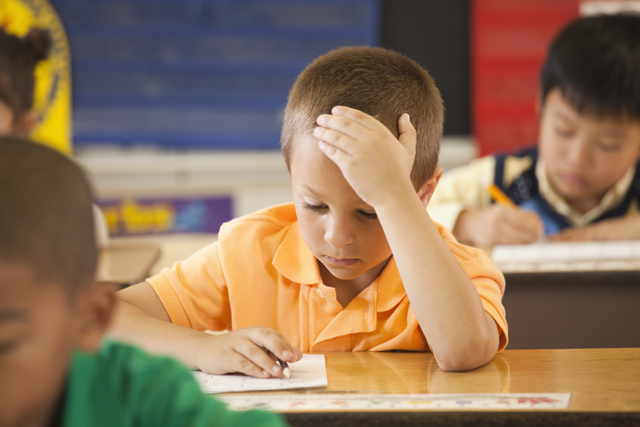 Children can join midway through the year, but they can also leave the program prematurely. From a DRE perspective, that just sounds like a record-keeping nightmare, so I would love to see how the coordinators at Nativity handle it. At Mt. Carmel, we accepted new students throughout the year, as per the pastor’s request, but it was always a struggle to get those students caught up with the material. In addition to that, once students joined our program, they were held to a strict attendance policy. Because of the structure of our program, too many absences would be harmful to the children’s education, and their experience of the faith is already so limited that we needed to do something to make sure that these children continue to attend on a weekly basis. That being said, I imagine that the fruits of Nativity’s religious education program have made it so that children don’t want to leave prematurely. I am not a huge proponent of a program that does not rely on a textbook, even in the most rudimentary way. While I think it’s important to incorporate Scripture (today’s children really don’t know many Bible stories), a chosen textbook provides more structure to the program. Even if I only choose to use half of what the textbook supplies, and then supplement the material with my own information, activities, and videos, the textbook guarantees that my students are learning the fundamental aspects of the faith. That being said, I do think that it is possible to combine the many positive aspects of Nativity’s program with the textbooks that my students use. Unbeknownst to me, Mt. Carmel had already begun to adopt a program similar to Nativity’s, though ours continued to use a textbook as the basis for our curriculum. The textbook chapters provided the groundwork for my lessons and prayer services, which featured a combination of high energy presentations of the material, stories, activities, videos, and fun songs. I encouraged my catechists to do the same in their individual classes, which they did to the best of their ability. In my own experiences and through my classroom observations, children are still capable of following lessons that are presented as a lecture, though the additional materials definitely helped to make the material stick. More than anything, I’ve found that ultimately, it is not about how the lessons are presented, but about who presents them. My children were equally capable of learning through lecture as they were through classroom discussion as long as the catechist was passionate and engaging. 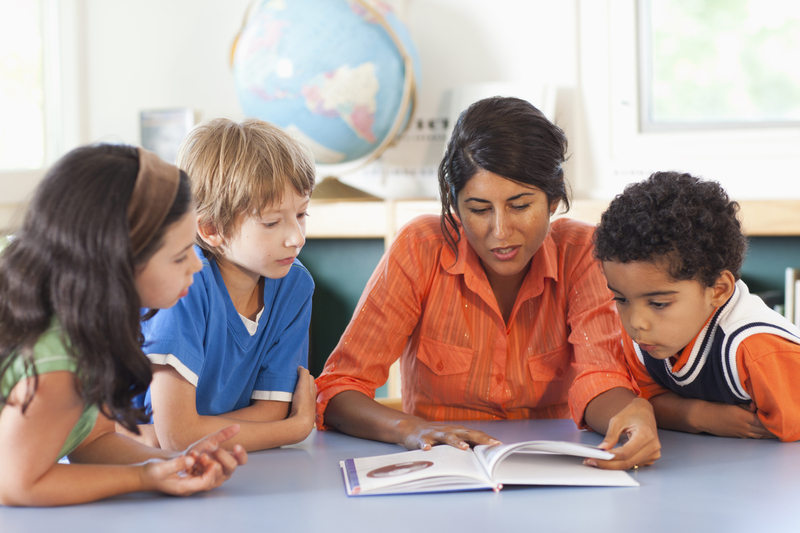 Catechists who favored lectures but truly loved the faith were more successful in imparting the information to their students than teachers who did not have the same passion, regardless of the methods that they chose to use. Yes, it might be true that children are no longer as capable of learning through lecturing and memorization, but that does not mean that it must be completely eradicated from the classroom. I think that there can still be room for it, though I also think it’s wise to combine this with classroom dialogue and other activities. As is often the case, this is not an either/or situation, but rather a both/and. CCD programs do not have to choose between the traditional classroom and the flipped classroom models of education. They do not need to choose between lectures and discussion. We can choose both, and in doing so, we can help our students become more well-rounded individuals who can succeed in any type of classroom setting. But even more important than that, we can use this combination of traditional textbook lessons, rote prayer, spontaneous prayer, and supplementary activities and resources to make sure that our students truly come to know Jesus Christ. He can be found in the fundamental doctrines of the faith, as well as in the dialogue students might have with one another in class. He can be found in memorized prayers like the “Our Father” and “Glory Be,” as well as in spontaneous intercessory prayer. Christ will use any means to reach His children, and DREs, including myself, must be open to the movement of the Spirit. Sometimes He will surprise us, but we should not be surprised that the Lord will do anything to help us to fall in love with Him. Christ became man, died on a cross, and became bread and wine, and He did all these things to show us how much He loves us. And if there is one thing that I want to teach my students, it is that Christ loves them more than anything in this world and beyond it. They are loved. They are wanted. They are worth dying for. They are children of God. 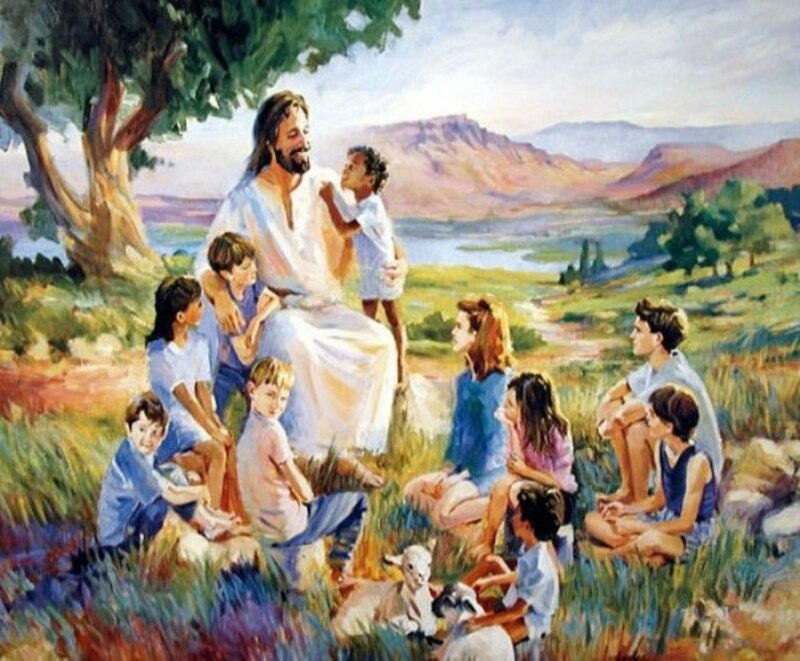 We are all children of God, and there is no road that Christ won’t travel to reach us.